Seeds and nuts are often lumped into the same category, and while they are incredibly diverse, they do possess many similar health benefits. They include the ability to improve digestion, protect your heart, prevent chronic diseases, reduce the risk diabetes, build strong bones, increase immunity, fight cancer, and stimulate growth, among others. While most people are aware that seeds and nuts are beneficial for overall health, people still tend to pass them over quite often as a part of their regular diet. Not only are nuts and seeds ideal snacks – easy to transport, no cleanup, and compact – but they are also some of the most concentrated forms of vitamins, minerals, nutrients, and organic acids that we can get in our diet. Seeds, by definition, are a flowering plant’s unit of reproduction, which also means that they contain all of the nutrients that a new plant requires growing. Nuts also contain seeds, but they are covered by a harder outer shell meant to protect those precious nutrients inside. 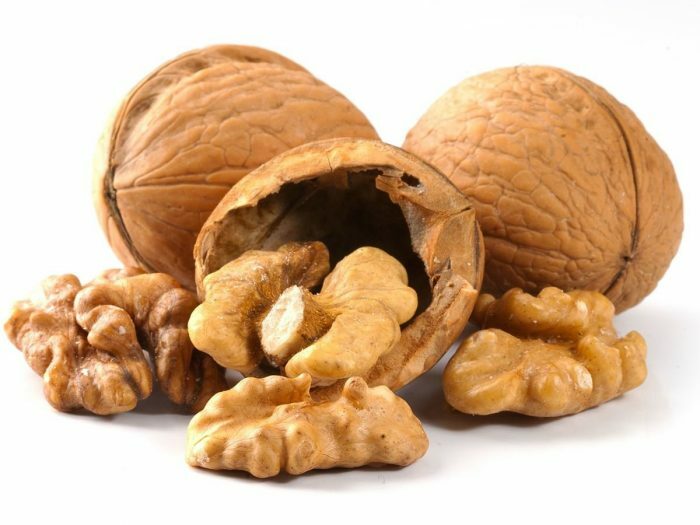 Some nuts can be eaten as a whole, meaning that you consume the shell and the seed, while other nuts require that you crack open the shell to expose the edible seed. The most common nuts include almonds, walnuts, pecans, Brazil nuts, pine nuts, and cashews. The most popular seed varieties are hemp seeds, sunflower seeds, flax seeds, pumpkin seeds and sesame seeds. All of these varieties are relatively easy to find in most grocery or health food stores and can fulfill many of your body’s nutritional needs. Although every type of seed and nut is unique, many share the same types of organic acids, such as amino acids and omega-3 fatty acids, as well as fiber and minerals, including selenium, magnesium, zinc, calcium, and phosphorous. Add to this their content of vitamins and protein, and you have a complete dietary staple that can have a wide range of effects on your body. In other words, if you haven’t made seeds and nuts a part of your diet, you should start! Let’s take a closer look at some of the impressive health benefits of seeds and nuts. Zinc and selenium are the most important immune system boosters. Both of these minerals play a crucial role in keeping your immune system healthy and strong, yet many people are deficient in these minerals. Selenium is considered a trace mineral and is not found in a huge number of foods, but it is found in many varieties of seeds and nuts. Furthermore, the antioxidants found in many nuts act as immune system boosters, along with omega-3 fatty acids, which can reduce inflammation and lower the strain on your body’s defenses. Pumpkin seeds are particularly high in zinc and selenium, as well as omega-3s and other carotenoids, making these an excellent choice if you want to bulk up your body’s first line of defense. Almost all seeds and nuts provide a significant level of dietary fiber, which can have a myriad of effects on our health. Dietary fiber is primarily associated with digestion, as it can help to stimulate peristaltic motion and the movement of food through your gut. It can also help to improve the nutrient uptake efficiency of the food you eat, meaning that you get even more nutrients. Dietary fiber is also very important for regulating diabetes and lowering cholesterol levels. Some of the seeds and nuts with the most dietary fiber include almonds, pistachios, and pecans. The majority of seeds and nuts contain important fatty acids, namely omega-3s, which are the “good” form of cholesterol. By improving the cholesterol balance in your body, you can significantly reduce inflammation in your body and blood vessels, meaning that you will lower your chances of developing atherosclerosis. This buildup of plaque in the arteries and veins can greatly increase your chances of having a heart attack or stroke. The seeds and nuts with the most omega-3s include Brazil nuts, pistachios, walnuts, hemp seeds, and flax seeds. Furthermore, the amino acids contained in walnuts and the phytochemicals in sunflower seeds are known to prevent vascular diseases and improve the health of your heart. All seeds and nuts contain certain levels of key minerals that our bodies need, including phosphorus, calcium, copper, selenium, and zinc. While the levels may vary, you can always be sure that you are getting a healthy dose of minerals when you toss back a handful of seeds or nuts. This will help prevent age-related diseases like osteoporosis and osteoarthritis, by ensuring that your mineral density stays at a normal level, even as you get older. Seeds and nuts can also protect the health of your teeth, something that many people overlook. Some of the best seeds and nuts for healthy bones are sesame seeds, chia seeds, Brazil nuts, and pecans. Most people don’t associate seeds and nuts with antioxidants, but in fact, these important dietary staples possess an impressive amount of phytochemicals, phenolic acids, lignans, omega-3s, vitamins and other organic acids that act as antioxidants within the body. By eliminating free radicals, these nutrients found in such diverse quantities in seeds and nuts can prevent oxidative stress and the onset of chronic disease. Preventing the mutation of healthy cells will ensure that all of your bodies systems continue to run smoothly, and will greatly reduce your likelihood of cancer. Many seeds and nuts, such as almonds and sunflower seeds, have shown anti-tumor properties when eaten regularly. Seeds and nuts contain a wealth of amino acids and plant proteins, both of which are essential for growth and development. Proteins and their building blocks, amino acids, can be rearranged and processed by the body to create animal proteins that our bodies require for metabolic functions, muscle growth, bone development, and cognitive improvement. Without a healthy stream of protein, we would be unable to function. Seeds and nuts are some of the most compact forms of protein that you can add to your diet, particularly from chia seeds, hemp seeds, walnuts, and almonds. One of the unsung benefits of dietary fiber is the impact that it can have on diabetes. By regulating the levels of insulin and glucose in the body, by regulating digestive speed, seeds and nuts can prevent the spikes and drops in blood sugar that are so characteristic of diabetes. Also, inflammation has been directly linked to increased risk of diabetes, but the omega-3s found in most seeds and nuts can control this inflammation and lower your likelihood. Omega-3 fatty acids have even been linked to the stimulation of brain function and cognition, making seeds and nuts impressive brain boosters as well. Omega-3s can reduce inflammation, which can also affect the capillaries and blood vessels in the brain, so when that inflammation and oxidative stress is gone, blood flow can return to those areas. An oxygenated brain is a brain that can concentrate, retain knowledge and recall memory better than before! As mentioned, many seeds and nuts are able to reduce inflammation throughout the body due to the effects of omega-3 fatty acids, but this is also done through vitamins and minerals, which are in high supply in these important dietary items. If you suffer from aches, pains, arthritis, gout, indigestion or any other inflammatory condition, some pecans, walnuts or pumpkin seeds can provide fast and reliable relief. Some seeds and nuts have the ability to affect the neurotransmitters in our brain, and also balance the hormones in our body. Cashews, for instance, are excellent sources of tryptophan, which can soothe your mind with serotonin, thereby eliminating stress hormones from your body and regulating your mood.